The JLL 2-in-1 Elliptical Cross Trainer Exercise Bike CT100 is a hybrid cross trainer that can also function as an exercise bike. JLL Fitness has proved its potential to the market by providing high-quality products which are increasingly becoming popular to the market. This cross trainer bike initially looks strong and reliable, plus it’s currently offered at a budget-friendly price (at the time of writing). What makes this fitness machine worthy to be a part of your home gym? Keep on reading to find out! 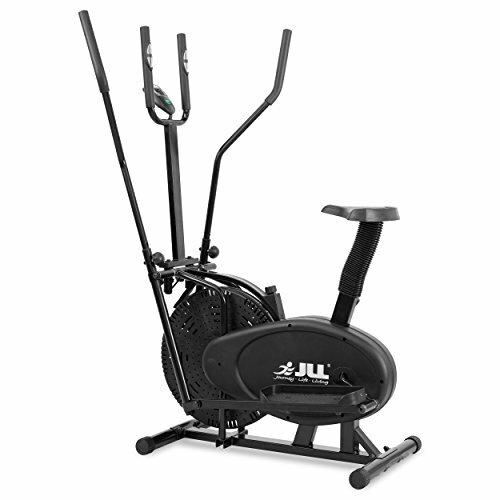 The JLL 2-in-1 Elliptical Cross Trainer Exercise Bike CT100 can be used as an exercise bike and a stand-alone cross trainer. It’s made of a durable steel frame that can support a maximum user weight of up to 110kg. For a long-lasting and sleek looking finish, it’s also covered with a powder coated paint. Despite that, it remains lightweight at only 28.7kg, and it’s compact occupying only 112cm x 64cm floor area, making it perfect for home use even for those with limited spaces. When using this equipment as an exercise bike, you’ll feel just like riding outdoors because its direct-chain driven. This type of mechanism allows the power you generate by pedalling to transfer to the flywheel with the help of an internal chain. It simulates the same intensity and challenge you get when riding a real bike. The JLL 2-in-1 Elliptical Cross Trainer Exercise Bike CT100 is also integrated with a friction resistance to suit your fitness needs. The resistance can be adjusted using a tension dial, which then loosens or tightens the tough band that’s wrapped around the flywheel. There are no specific levels set when increasing your resistance, so it’s up to you on how hard you want it to be. 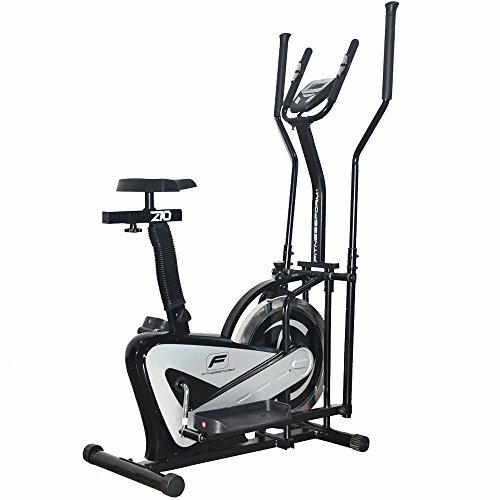 The JLL 2-in-1 Elliptical Cross Trainer Exercise Bike CT100 is made to cater various users with its fully adjustable features. It has a 5-level seat height adjustment and 4-level height handlebar adjustment so you can tailor fit the machine according to your height. Finding the right position for you will help you maintain a correct posture thus being able to workout longer. This hybrid cross trainer also has wide foot pedals that measure 15cm x 35cm, which can fit various foot sizes. 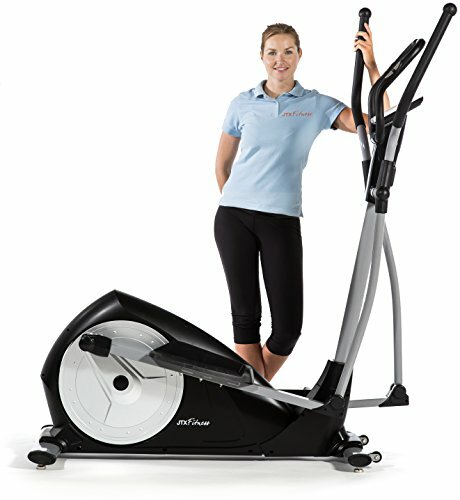 These features allow even tall users to achieve full movements when using this fitness machine. Since this fitness equipment is designed for two functions, its made with two sets of handlebars to support you either way. You can use the cross swing bars when using it as a cross trainer or the stationary handlebars when you’re on the exercise bike. Both of the handles are covered with comfortable foam grips, and the fixed handlebars are integrated with pulse sensors to be able to monitor your heart rate closely. 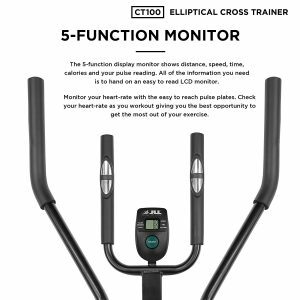 The JLL 2-in-1 Elliptical Cross Trainer Exercise Bike CT100 also features 5-function display monitor that allows you to track your progress such as distance, time, speed, calories, and pulse rate. You can focus on just one reading, or you can let the monitor run through a scan on all of them. Plus, it has built-in front transport wheels making it easy to move around the house. If you’re not good at putting things together, you might have a hard time assembling the JLL 2-in-1 Elliptical Cross Trainer Exercise Bike CT100. The instructions that come with it are quite difficult to understand, but I have some good news. JLL Fitness has provided a Youtube video to solve that problem, you just have to type “How to assemble JLL CT100 Elliptical Cross Trainer”, and you’ll get a step-by-step video on how to do it. 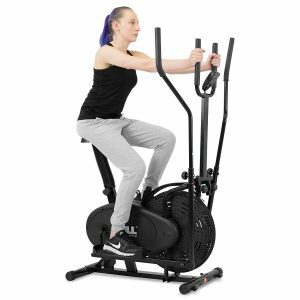 The Olympic 125 Elliptical Cross Trainer Bike is another multi-functional cross trainer that’s offered at a more affordable price. Despite being cheap, it’s quality is still exceptional as its made with a black tubular metal frame and it has a maximum weight capacity of 100kg. It has a soft saddle that keeps you comfortable whilst working out, and it functions smoothly without making too much noise. To add a little intensity to your exercise, you can increase the resistance level using the easy to reach adjustment dial just below the onboard digital monitor. 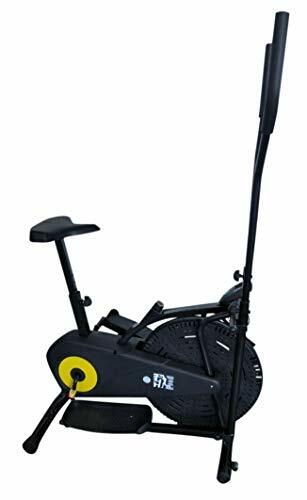 Olympic 125 Elliptical Cross Trainer Bike Detailed Review? CLICK HERE. The Fitnessform ZGT Z10 Cross Trainer Bike is also a lightweight and compact hybrid cross trainer that would fit any home gym. The model, along with other products from Fitnessform, is claimed to be carefully engineered and tested for effectiveness and durability by some of the UK’s leading trainers, doctors and athletes. Even though it only weighs 33kg, it can still hold users with a weight of up to 110kg. It features a quick dismantle function which is convenient for easier storage, and it comes with built-in pulse sensors. 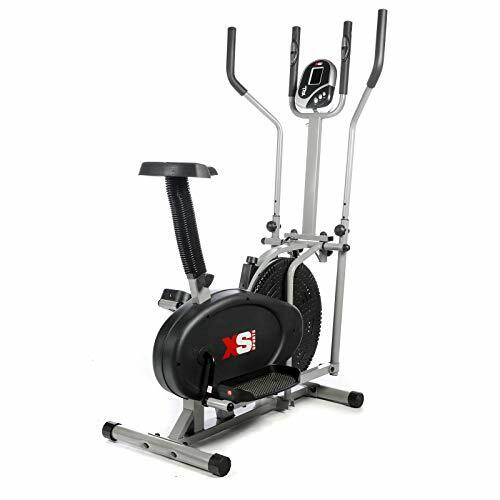 The XS Sports Pro 2-in-1 Elliptical Cross Trainer remains as the number one bestselling cross trainer bike on the market, despite having hundreds of competitors. 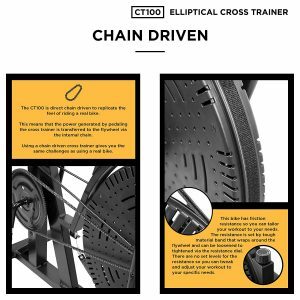 It’s driven by a direct chain flywheel, and it has a maximum user capacity of 110kg. At a highly-affordable price, this 2-in-1 fitness equipment already comes with built-in pulse sensors and adjustable resistance to add intensity to your workout. It also has wide foot pedals that can fit up to a maximum of size 12 (UK size). If you have some extra money to shell out, you can opt for the JTX Strider-X7 Magnetic Cross Trainer. It features 21 built-in programs and 16 resistance levels that can cater to all fitness levels, whether you’re a novice user or an athlete. With an easy to use coloured touchscreen console, you can quickly choose the settings that will suit your fitness needs. This mid-range cross trainer can hold a maximum user capacity of up to 110kg, and it comes with a guarantee of 5-year frame warranty and a 2-year in-home repair warranty. The JLL 2-in-1 Elliptical Cross Trainer Exercise Bike CT100 is designed for all fitness levels, from beginners to the experienced users. It’s affordable, multifunctional, and it provides a cardiovascular workout that helps improve the muscles in your legs, hips, buttocks, arms and shoulders. This single machine will help you achieve your fitness goals in no time, and its built-in pulse sensors will give you the best opportunity to get the most out of your exercise.